« Watch the Allen Iverson Documentary Trailer! There’s a first for everything! 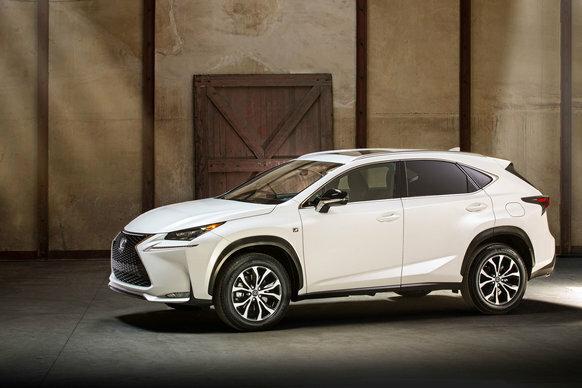 The all-new Lexus NX comes to market as the brand’s first entry into the luxury compact crossover segment and with the first turbo in the lineup. The NX will also be offered in naturally aspirated and hybrid powertrains. Powertrains will vary by region. The U.S. market will offer the NX 200t turbo and NX 300h hybrid. The NX 200t F SPORT will also be available with unique exterior and interior features. 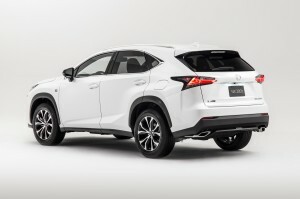 The front and rear wheel arches add to the NX’s wide and low, muscular stance with bold flares. The arches house standard 17-inch or available 18-inch wheels. The NX 200t F SPORT will feature exclusive design elements and enhanced driving performance. The NX has an array of innovative on-board technology, including an available Lexus-first Wireless Charging Tray to enable a mobile phone to be charged. 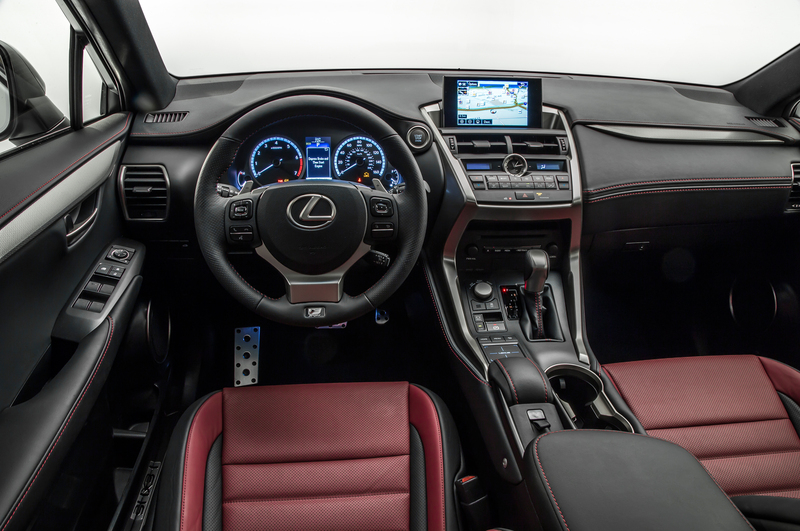 Other available technology includes the first application of a new Lexus Remote Touch Interface with a touch pad; and a comprehensive Multi- information Display, including a Lexus-first G sensor and boost meter, Heads-Up Display, All-speed Dynamic Radar Cruise Control, Blind Spot Monitor with Rear Cross Traffic Alert. Print article This entry was posted by Art Eddy III on April 24, 2014 at 6:50 pm, and is filed under Lexus. Follow any responses to this post through RSS 2.0. Both comments and pings are currently closed.